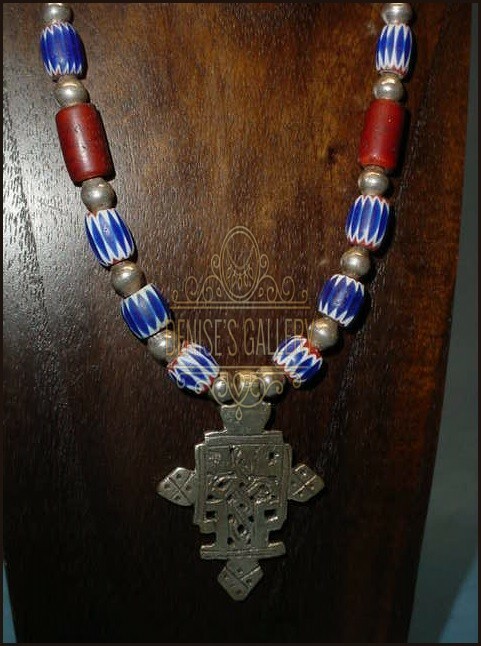 ANTIQUE VENETIAN GLASS TRADE BEAD NECKLACE, features a Handcrafted, Ethiopian Coptic Cross Pendant. 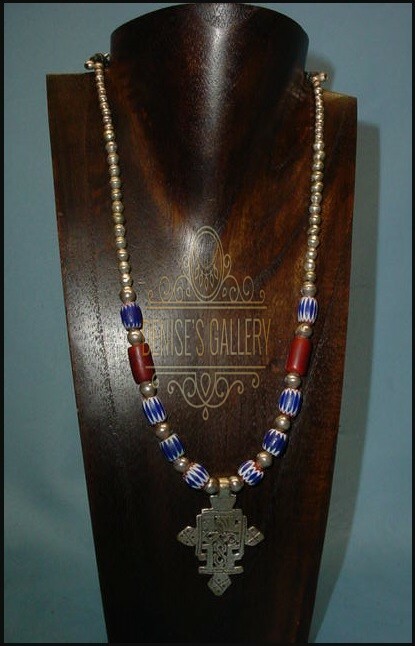 This Awesome, Handmade Necklace is Embellished with Highly Collectible, Antique ~ 4-layer ~ Chevron Glass Trade Beads, Antique ~ 2-layer ~ Cornaline d’ Aleppo “White & Yellow Heart” (red with yellow or white center) Venetian Glass Trade Beads & Handcrafted, Ethiopian coin silver bicone beads . 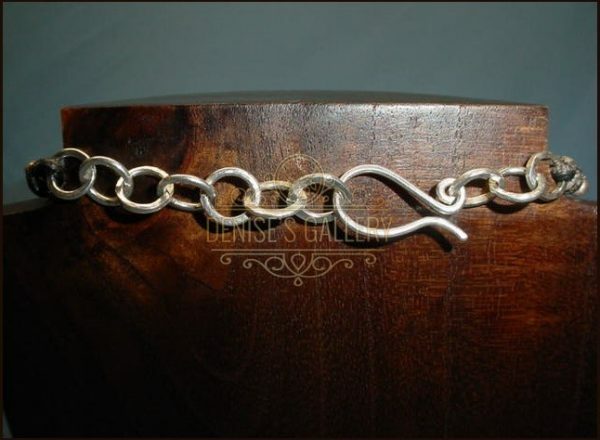 The Clasps and Links are Handmade, Hammered, 14 gauge, 925 Sterling Silver. 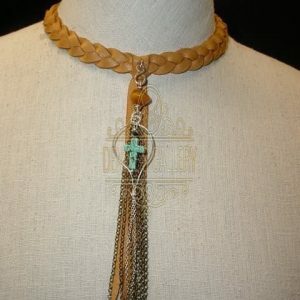 Beads are strung on a 3 mm Genuine Leather Cord. The largest Cornaline d’ Aleppo White Heart Bead measures approximately 16 x 9 mm. 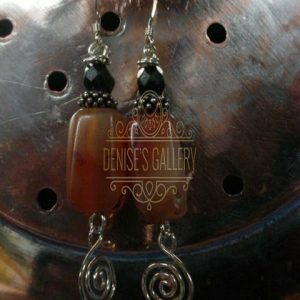 ** Chevron Beads, also referred to as ‘Rosetta or Star Beads, are thought to have been first brought into Africa by Dutch traders in the early 1400’s. They are still worn & esteemed in Africa today. 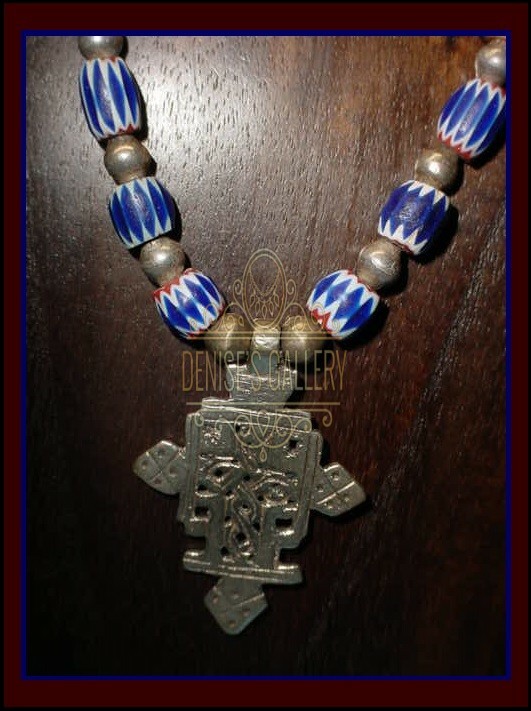 **Coptic Cross Pectoral Pendants are skillfully handcrafted by metalworkers in Ethiopia. 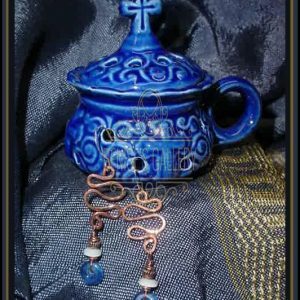 Each handcrafted Coptic Cross is Uniquely designed and no two are alike. 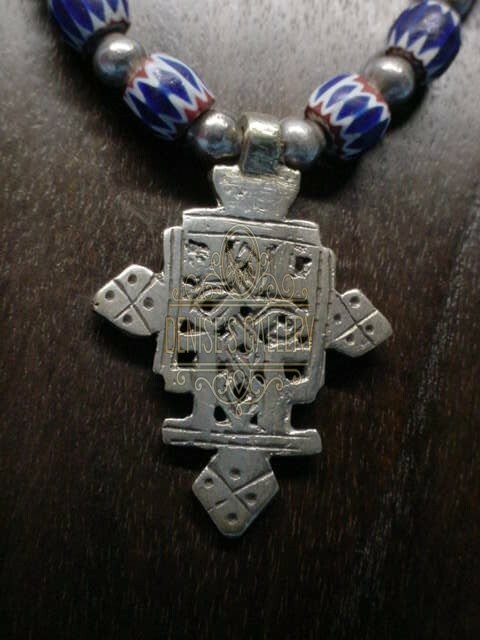 They are worn as symbols of Christian faith. 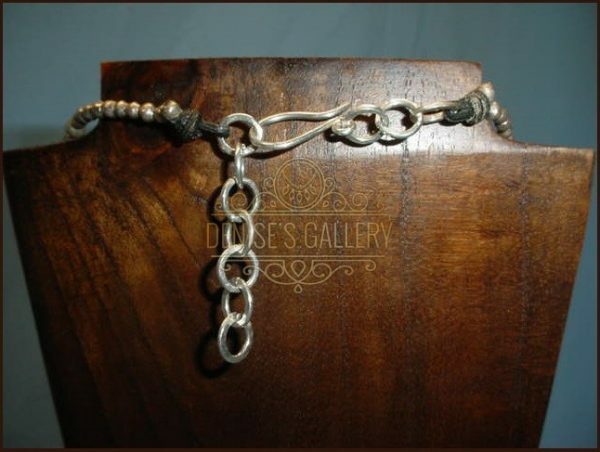 The actual age & silver content are unknown.